U of T grad Danielle Miller dishes on the Canadian acting industry and her role in Take This Waltz. I met Danielle Miller in an undergraduate English class during my second year at U of T. We discovered that we had several friends in common, and ended up seeing one another pretty frequently while on campus. But once the school year drew to a close and our group of friends dispersed over the summer months, we fell out of touch. During the fall semester of the following year, I ran into Danielle in front of University College and asked her how her summer had been. “I actually filmed a movie with Michelle Williams, Sarah Silverman and Seth Rogen,” she replied. As it turns out, that movie was Take This Waltz, the second directorial venture of Canadian actress Sarah Polley. The film, released in theatres last month, is a gentle, thoughtful, and at times perplexing examination of what remains of a relationship when affection persists, but passion has dulled. Margot, played by Michelle Williams, is a Toronto-based freelance writer who finds herself torn between loyalty for her sweet but unromantic husband, Lou (Seth Rogen), and the creeping desire to jump into bed with the brooding rickshaw driver (Luke Kirby) who lives across the street. 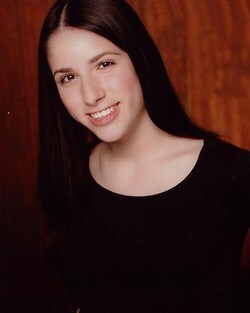 Sarah Silverman plays one of Lou’s sisters, and so, in a smaller role, does Danielle. It was her first part in a major film, but Danielle has been acting since she was a child, participating in community theatre productions and appearing in various commercials. In high school, she scored a supporting lead role in the YTV series Dark Oracle and appeared in an episode of Corner Gas. A graduate of U of T’s drama program, Danielle has been involved with several student productions and also found the time to act in a CBC movie of the week while she was in university. Although Danielle’s part in Take This Waltz has not been her largest one to date, when me met for coffee a few weeks ago, she told me that it has been, by far, the most exciting. And perhaps unsurprisingly, Danielle’s enthusiasm for the role lies in the opportunities that it created for her to mingle with successful actors as they carried out their craft. Her role in Take This Waltz also gave Danielle her first glimpse of life on the set of a major film. It’s a far cry removed from the air-conditioned trailers and bottles of distilled mineral water that most of us envision when we think of big studio productions. “It kind of crushes the illusion a little bit,” she said of working on the set of Take This Waltz. One particular scene that was shot in the small living room of a house in downtown Toronto was instructive. Long hours and sweltering sets aside, Danielle understands how fortunate she was to have landed a part in a relatively major film like Take This Waltz. The film industry in Canada is highly competitive, with plenty of actors looking for work and relatively few roles up for grabs. I asked Danielle if U of T’s drama program prepared her for the reality of finding work in such a cutthroat environment. Danielle told me that one of the stars of Take This Waltz also had some wisdom to share about finding success in the acting industry. While Danielle remains committed to furthering her acting career, she has also begun to pursue two additional interests: teaching and community outreach. Having recently completed her Bachelor of Education at York, Danielle will be returning to the St. George campus in the fall as the coordinator of Jewish student life at U of T’s Hillel.